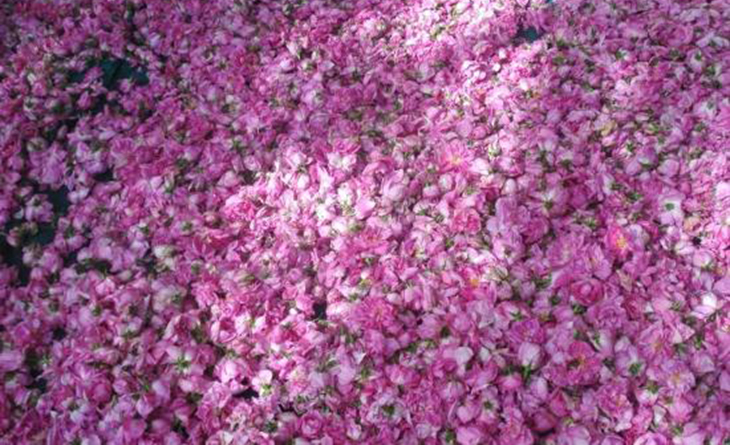 Your Insider Guide to the Agros Rose Festival! 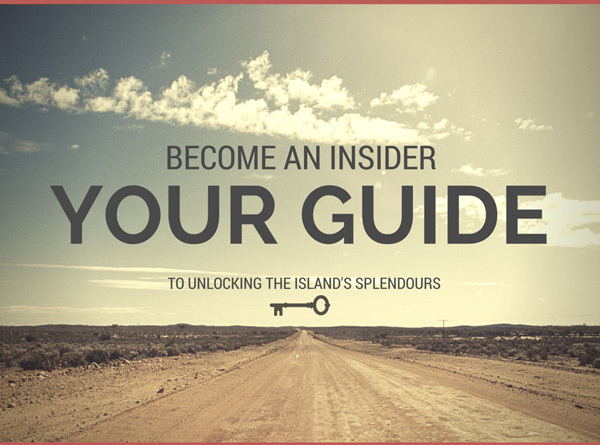 Deep in the heart of the Pitsillia region of the island, is a village that has come to be loved by islanders and foreigners alike. 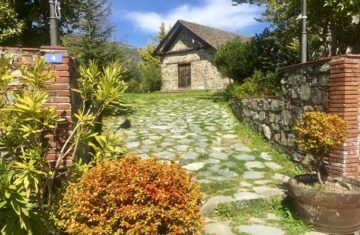 Not just another pretty rural hot spot, there’s something incredibly bright and beautiful that makes Agros famous: its glorious rambling roses. 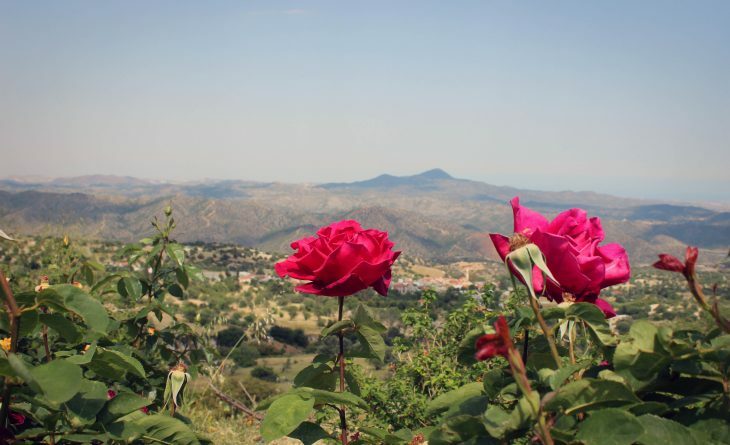 Officially known as the ‘Rose of Damascus’ (Rosa damascene) that blossoms in April/May, the foothills of the Troodos Mountains provide an ideal environment for growth; a place where the fragile light pink flowers are protected from strong winds while bathed in just the right amount sunshine come spring. With the annual Rose Festival coming up this weekend, May 12th -13th and 19th -20th, there are a whole host of activities to enjoy, whether you want to indulge in an earthy hands-on experience, wish to try some local produce, or fancy sitting back and listening to talks. The festival will kick off on Saturday May 12th with an early morning rose collection session, followed by a kickoff ceremony and cultural event dedicated to roses at the Glafkos Klirides Athletic Centre come noon. 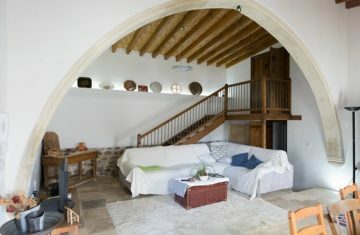 Come evening, plenty of song and dance will be bringing the centre to life with song and dance with the Xenia Tsolaki dance school, the Trio Levante, and traditional singer, Sofia Papazoglou. 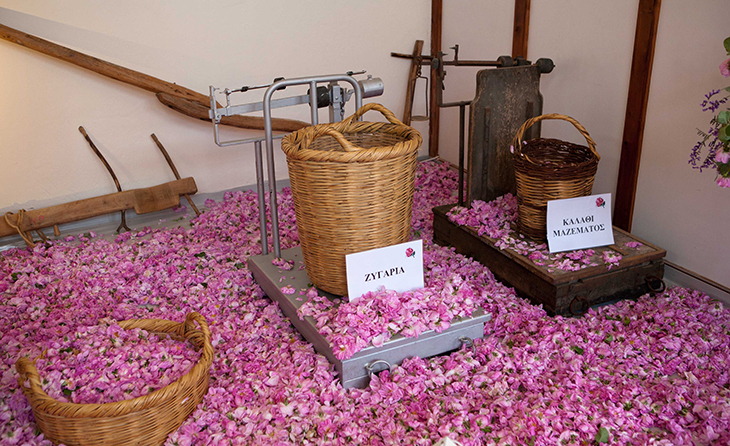 On Sunday May 13th, another early morning rose collection session will be taking place, while plenty of festivities will be entertaining crowds the rest of the day including a rose drawing competition, demonstrations of the traditional distillation of rose water, and a presentation of old village traditions. 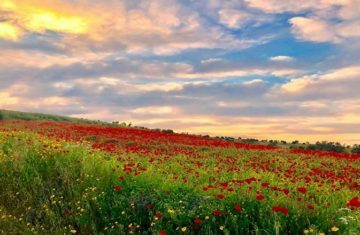 Similar festivities will be taking place on the weekend of May 19th – 20th, with more rose collections and cultural events with folklore groups showing off their talents and plenty of traditional dances from Cyprus and Greece. Kiosks serving food and drink will be set up in the vicinity, while rose products will also be available for purchase. There will also be a hop on-hop off train touring the area, while the small rose factories of the village will be open for visitors. 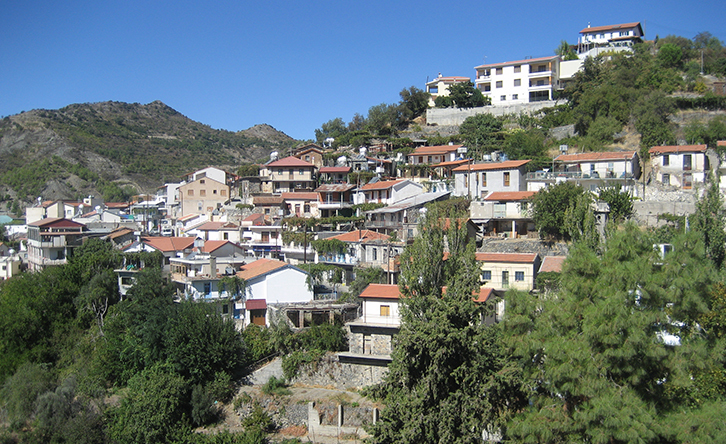 Agros wasn’t always famous for its roses. In fact, at the start of the 20th century, sources indicate that there were but a few rose bushes in the area, following the import of this specific rose bush from Mesopotamia. And as with most villages, this one has its own tale of a village personality that did something rather special for the community. It was in fact a schoolteacher in the village, Nearchos Clerides (uncle of former Cypriot president, the late Glafkos Clerides), who was determined to encourage people to recognise the splendours of these roses, setting up the ‘Pupils Association for the Dissemination of the Rose Bush’ in 1917. With the goal of improving the standard of living of the local community, he introduced an incentive scheme aimed at cultivating the rose bush to produce rose water. 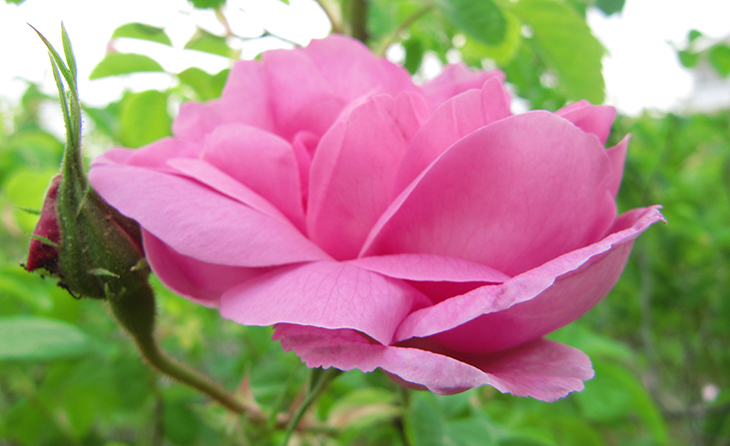 The members of the association were obliged to plant and look after fifty rose bushes every year, while those who planted more than fifty rose bushes received a financial reward. Fast forward to the present day, and his vision has certainly proved to be a fruitful one, with a whole industry now associated with the roses as locals now spending much time cultivating the flowers that so beautifully that blanket the slopes that rise above the village. 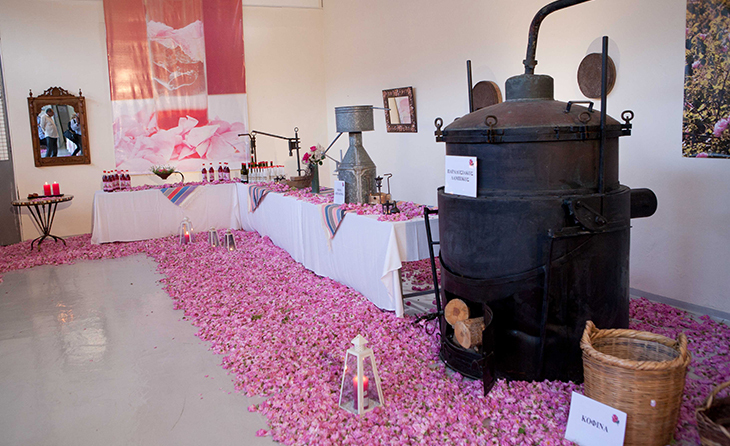 The aromatic oil of the roses that locals so treasure is now in turn used for a whole range of purposes, from rose oil to rose water, traditional sweets, to liqueur. Deliciously tantalising to the taste buds, cosmetics containing rose essential oil and rose water are said to hydrate dry skin while providing invaluable protection against harmful free radicals.